If you have seen a vehicle you are interested in on our showroom pages, but are located a long way from us, don't worry! Our inch by inch description service available via mobile phone, can satisfy any unanswered questions regarding the condition and specific details of any of our vehicles. Orders, payments and even finance can be processed electronically and remotely. Delivery can be arranged either directly with ourselves or with our partners at High Peak Deliveries for the most distant customers. High Peak Deliveries have been established as a business for approximately 5 years and offer vehicle delivery services anywhere on mainland UK. 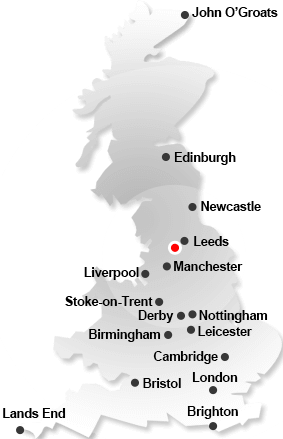 High Peak Deliveries are based in Bollington in Cheshire, have 14 drivers and 3 support staff in the office. All vehicles are fully insured (to £100K), from the point HPD take possession to the point HPD transfer possession to the person at delivery, HPD also carry employers and public liability insurance. HPD inspect vehicles at collection (and obtain a signature), then obtain another signature at delivery. If you need any more info, help or advice please do not hesitate to get in touch and HPD would be more than happy to help. If you are interested in this service, please contact Adam or Chris, or click here for a quote.